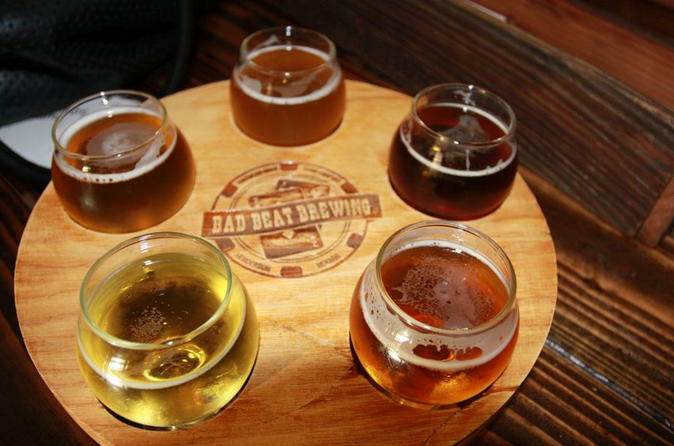 Tour local Las Vegas breweries and have VIP access with the Brewers and the brew house. On this 4-hour tour you will visit three (3) breweries and craft beer samples are included at every stop. Your tour will start with pickup from a central meeting location where you will board your air-conditioned shuttle with your guide to start your tour to Las Vegas' finest breweries. You will visit three (3) local breweries and have the opportunity to sample craft beers at each location. The Brewers will share their wealth of knowledge and walk you through their brewing processes as well as answer any questions and suggest pairing options. Merchandise and beer will also be available for purchase at a discounted rate. Minimum age is 21 years, please remember your photo ID such as a drivers license or passport.